Each week, the Global Poker Index releases a list of the top 300 tournament poker players in the world using a formula that takes into account a player’s results over six half-year periods. The GPI also ranks the top performers of the year over two six-month periods as calculated by the USA Today Global Poker Index point system. 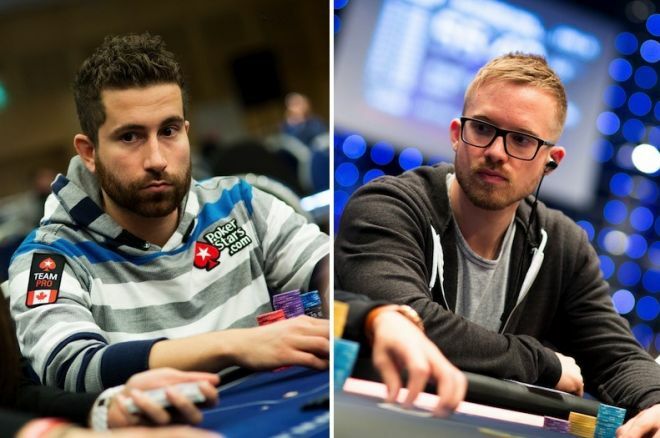 After all of the movement a week ago following the completion of the PokerStars and Monte-Carlo®Casino EPT Grand Final festival, things settled this week Global Poker Index Player of the Year race — though not for long as the 2015 World Series of Poker gets going in less than a week! Dzmitry Urbanovich retained the No. 1 position for a ninth-straight week. Steve O’Dwyer and Joe Kuether swapped spots in the middle of the top 10. And Sorel Mizzi jumped up four spots to rejoin the POY top 10 after finishing 10th in the 2015 World Poker Tour Amsterdam Main Event won by Farid Yachou. It was a quiet week atop the overall Global Poker Index rankings as well with no change among the top seven as Scott Seiver remains the top-ranked tournament player in the world for a fourth week running. Meanwhile Mizzi’s Amsterdam score allowed him to move up a notch, with Pratyush Buddiga nudging upwards one spot as well. Just five new names join the GPI Top 300 this week, with Kyle Bowker the highest-ranked of the group at No. 273. *Note: the GPI rankings began June 27, 2011. Right now from these 12 only Jonathan Duhamel and Martin Jacobson are in the GPI Top 300. Duhamel has remained inside the top 30 since August 2013, while the last time Jacobson was outside the top 50 was June 2014. Looking at who among this week’s Top 300 made the biggest gains, Louis Salter jumped the most, going from No. 243 to No. 160 after finishing ninth in that aforementioned WPT Amsterdam Main Event. Finally Farid Jattin dropped the most this week among players still in the GPI Top 300, the second straight week he’s been part of this list. To view both the 2015 Player of the Year and GPI overall rankings in their entirety, visit the official GPI website. While you’re at it, follow the GPI on Twitter and its Facebook page.